The most recent big news regarding sign language in the USA is that the state of Virginia has voted to give the language equal footing with foreign languages. 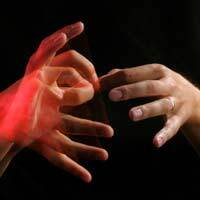 The bill was passed 95-3 in the house and 34-6 in the Senate in February and will pave the way for those who ‘speak’ American sign language to be able to use it as a qualification. Virginia may not be the first of the USA’s fifty states to make such a ruling and it probably won’t be the last, but what is interesting is what the move towards regarding American sign language as a foreign language has on sign language in both the USA and indeed, across the whole world. What Does it Mean for Virginia? For those unfamiliar with the laws of the USA, each state does have different laws, and they have their own Senate with a specified number of senators who pass laws after the House has done – not dissimilar in the way that the Houses of Commons and Lords do in the UK, albeit for the whole country. The legislation passed in Virginia just has to be signed by the state’s governor Bob McDonnell, and then it becomes law for Virginia. This means that schools and colleges in the state will have to accept any American sign language qualification as credits towards a foreign language course – giving it equal footing with languages such as French, Spanish and German. Until now, it has been up to the individual institution to decide. What Does it Mean for the Rest of the USA? As stated above, Virginia is not the first state to make such a move. In fact, it is the 36th state to decided that ASL is as important and just as much of a language as any country’s language. This means that more than half of the states now deem ASL to be of equal status with other languages. As students move around the country, those who use ASL will be looking to go to college somewhere which treats it as an equal language – and the states which do not have such legislation will be forced to do so if they want to keep attracting a diverse mix of the best talent the country has to offer. What Does It Mean for the Rest of the World? The rest of the world varies massively in how they treat sign language compared to other languages. But if the USA begins treating it as an equal language to any other foreign language, then it will force other countries, certainly in the Western world, to buck up their ideas where sign language is concerned. Other leading colleges and universities across the world will begin to realise that the same skills are needed to learn sign language as other foreign languages, and as a result, they will also start to accept sign language qualifications if they too want to get the best talent. Many institutions which already accept sign language as a language consider themselves to be bi-lingual if they offer both spoken and signed to students. Learning sign language takes just as much skill as learning French – and the more people who realise this and begin to learn this, the more deaf people who rely on sign language as their only form of communication can hope to be fully integrated in a hearing society.